Mouse over My Account on the top menu bar and click login. Click on Sign in in the upper right corner of the screen. 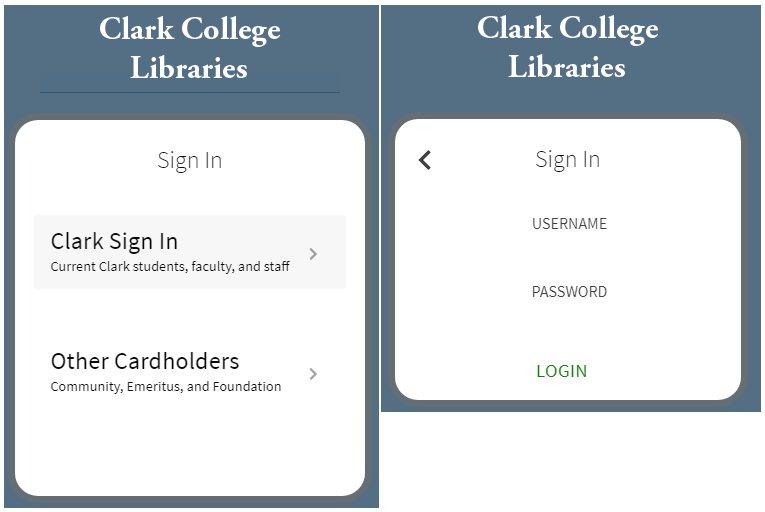 Log in using your Clark username and password (or your library log-in credentials).